Important Etruscan settlement, is set on a hill at 300 m asl. The presence of man dates to the far 2000 B.C. at least, in the time called Bronze Age, on the hills of San Francesco and of Sant' Apollinare, that is the Fiesole's hills. It was quite natural, therefore, that an Etruscan settlement developed near the Fiesole's hills in the following centuries. The city and its walls more than 2000 metres long were raised around the IV-III centuries B.C. as a communication crossroads between the centre-south and the northern Etruria. Its importance as a defensive bastion against the incursions of the Gauls and of other populations coming from the north of Italy was remarkable, as well. 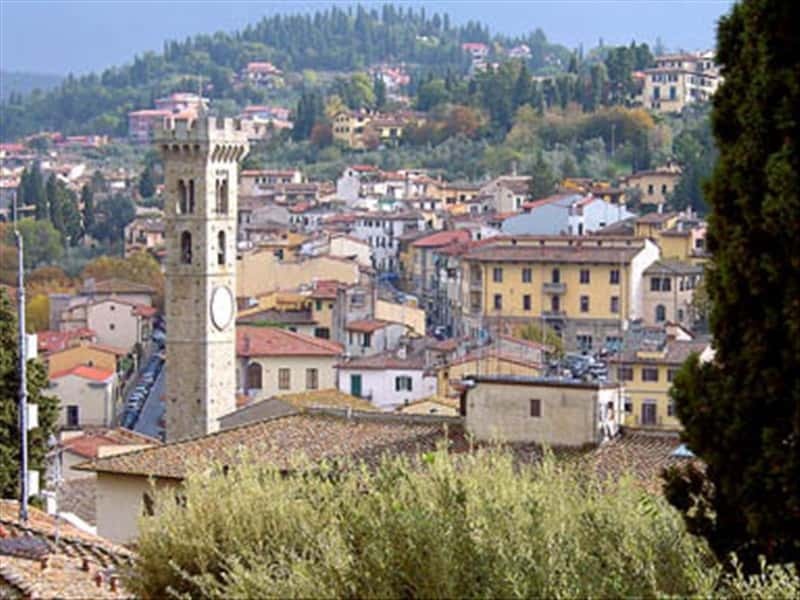 Since the Renaissance, Fiesole started to be renowned as a holiday place for aristocratic and wealthy families. At that time, illustrious Florentine personalities such as Lorenzo the Magnificent, Pico della Mirandola, Giovanni Boccaccio and Poliziano attended this place. The serena stone caves became the economic pivot of this town. The Cathedral of St. Romulus, in Romanesque style with three aisles, contains the shrine of St. Romulus, the first bishop of Fiesole. San Domenico is a conventual complex rising between Fiesole and Florence. This is where Giovanni de' Fiesole, also known as Beato Angelico by the lovers of the Renaissance art, lived and studied. The church of San Domenico also makes part of the complex. It was built in the first half of the XV century thanks to a funding by the Florentine noble Barnaba degli Agli, whose family notably contributed to the construction of the whole complex. The Villa Medici at Fiesole is one of the oldest Renaissance residences with a garden and is also one of the best preserved. The villa was built during the mid fifteenth century when Cosimo the Elder employed Michellozzo di Bartolommeo to design it. Lorenzo the Magnificent turned the residence into a gathering place for artists, philosophers and men of letters. This town web page has been visited 53,626 times.